David was formerly supervisor at CSI Component Services, an earthmoving company. He was an awesome mechanic who showed innate skill in repairing machines since childhood. He was small of stature but large of love for his family and friends. He united in marriage to Shirley Leigh December 15, 1995. 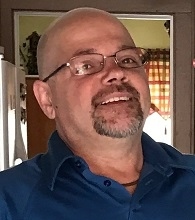 Besides his wife, Shirley Yeagley of Campbellsville, he is survived by one daughter, Amber Doud and husband, Matthew of Elwood, Indiana; two step-children: Missy Hicks and husband, Adam and Geoff Underwood of Campbellsville; two grandchildren: Shane Galley and Gwendolyn Galley of Elwood, Indiana; three step-grandchildren: Haley King and fiancée, Austin McCreery and Michael Thomas Underwood of Campbellsville and Jacob Brown of Cecilia; his father, John David Yeagley of Elwood, Indiana; one sister, Rhonda Shepherd and husband, Mitch of Elwood, Indiana; nieces and nephews and many other relatives and friends. Besides his mother, Jane Yeagley he was preceded in death by one brother in infancy, Ronald Yeagley and his father and mother -in-law: Rufus John Leigh and Eulalia Leigh.